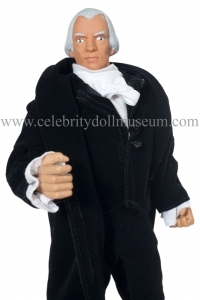 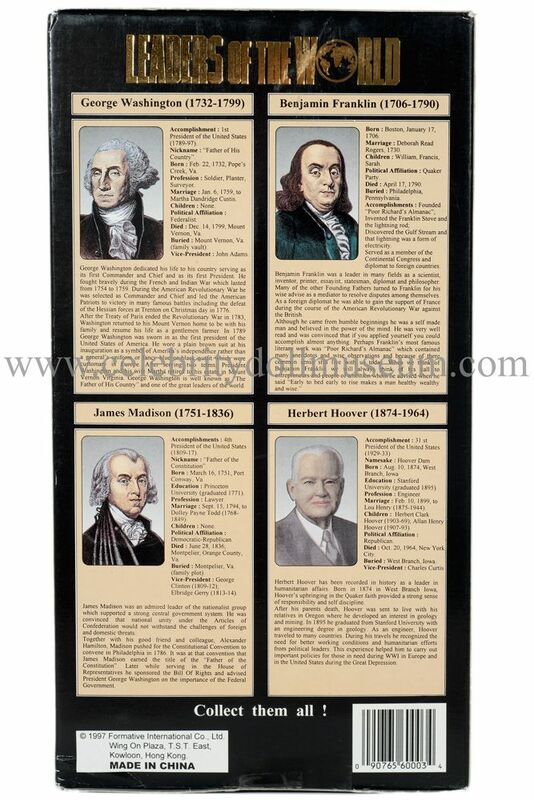 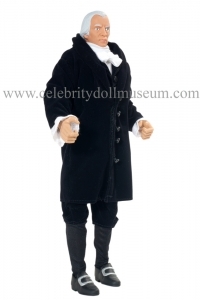 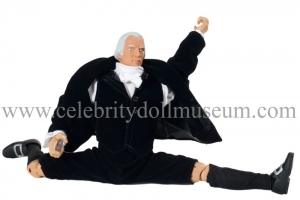 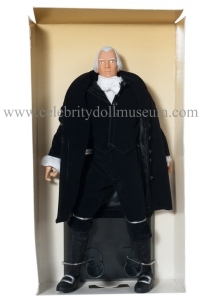 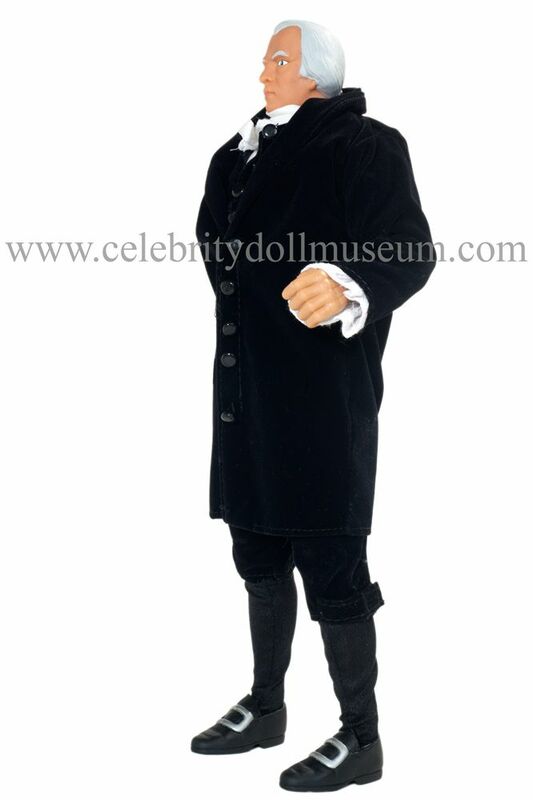 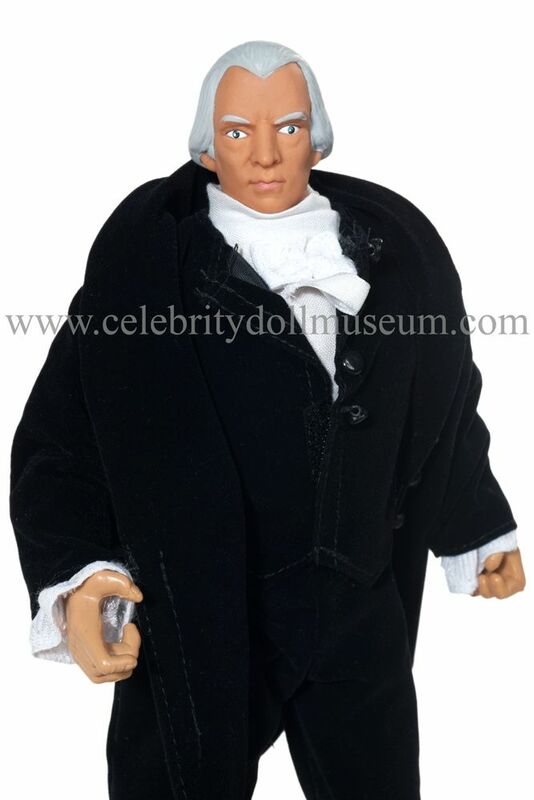 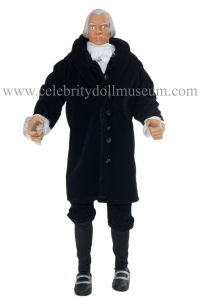 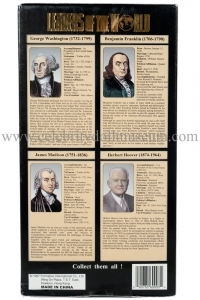 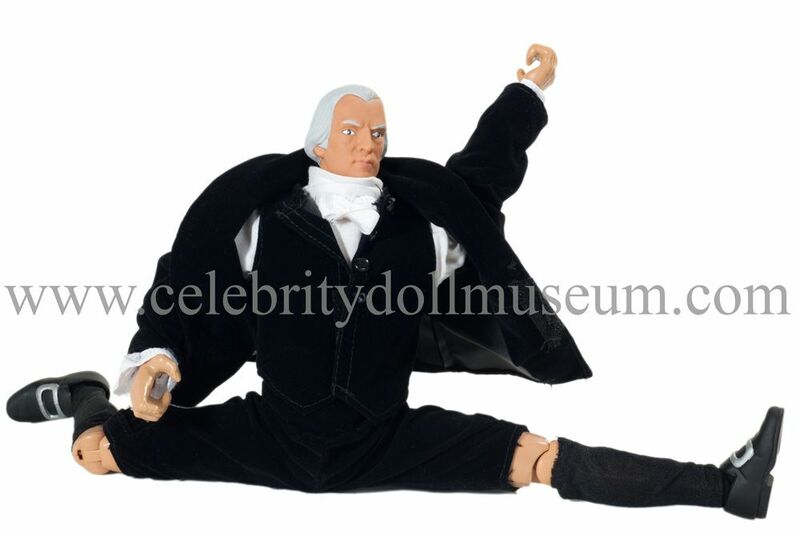 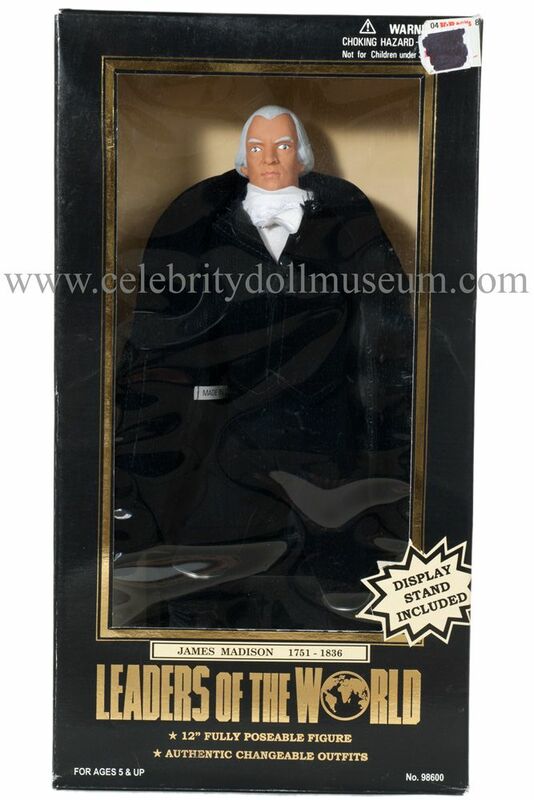 The James Madison doll depicts him as himself, the 4th President of the United States, author of the US Bill of Rights and ‘Father of the Constitution’. 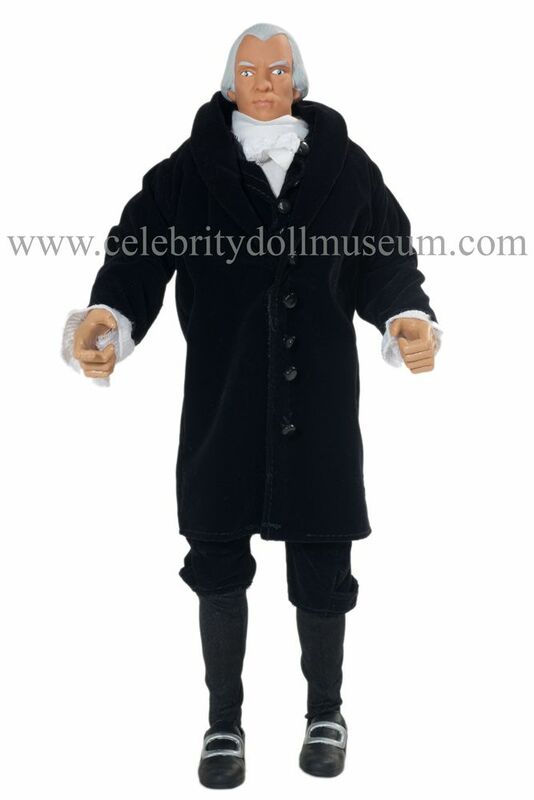 He served from 1809-1817. 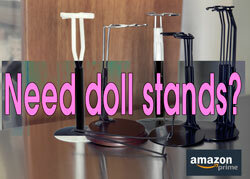 The Madison action figure is fully pose-able and the outfit is removable with velcro closures. 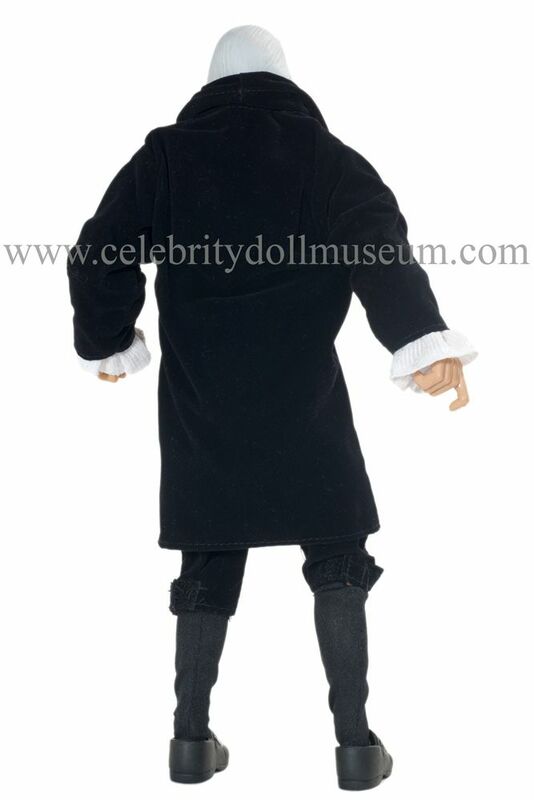 The authentic costume consists of a black velvet-like suit and vest with black buttons, white ruffled lace collared and cuffed shirt, black knee socks, and black plastic silver buckled shoes.